The above info came from atomofish, and was edited by yours truly (contact me). The image came from style.fm. In the world of Mushishi lives creatures that are neither plants nor animals. They are also different from regular forms of life. These beings are known as the "Mushi." The Mushi are primeval beings with supernatural powers that make them much more in tune to nature. However, they are mostly hidden and unknown to humanity, and only a select few know of their existence. 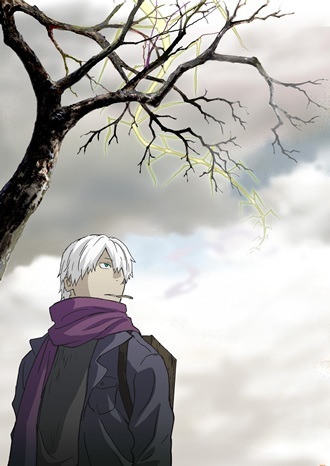 Mushishi tells the story of Ginko, a laid-back Mushi master who travels from place to place in order to research the Mushi and solve problems for anyone that happens to be plagued by them.